Active Science is an investigation-centered, K-5 science program. It provides activities, experiments, discussions, and challenges that encourage students to develop the problem solving skills that will enable them to participate and interact in the scientific and technological environment of the modern world. Scientific knowledge is increasing rapidly in all fields. Active Science prepares future citizens of the world to be prepared to ask and answer why, as well as enable them to apply scientific information in order to solve new and complex problems. Educators and scientists working together created Active Science with a thorough study of science and educational research, standards analysis, and investigation enhancements. The philosophy of the program is that students learn and remember science best when they are involved in hands-on explorations and investigations. Active Science lessons use a variety of instructional techniques to accommodate differentiation for a range of student learning styles, while students work in cooperative teams to interact, draw conclusions, and share ideas with their peers. 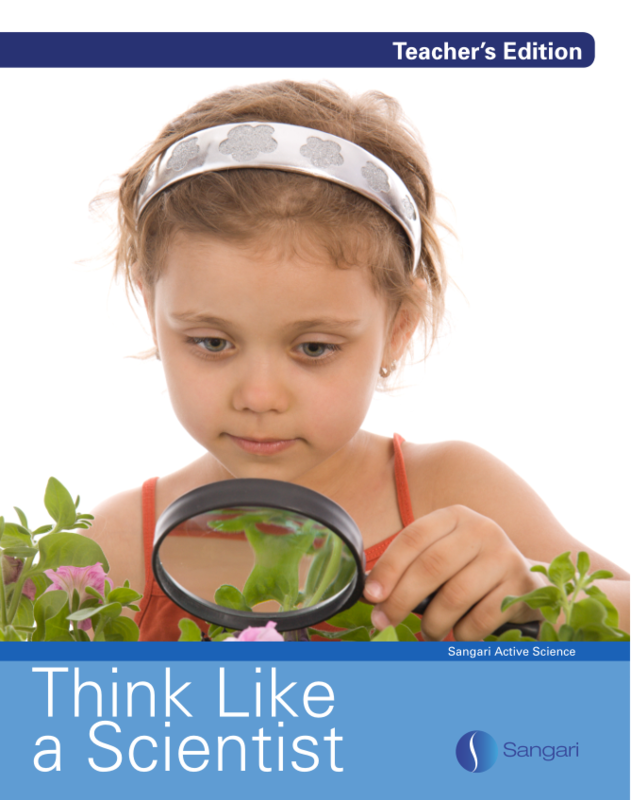 Lessons encourage students to express and evaluate their preconceived ideas about how the world of science works. When students are able to test their ideas with real evidence and articulate what they have discovered by recording data into their Science Notebooks, the scientific learning becomes their own. observe that the moon can be seen sometimes at night and sometimes during the daytime, recognizing that it appears to change shape over the course of a month. identify that living things have offspring based on the organism’s physical similarities and differences. 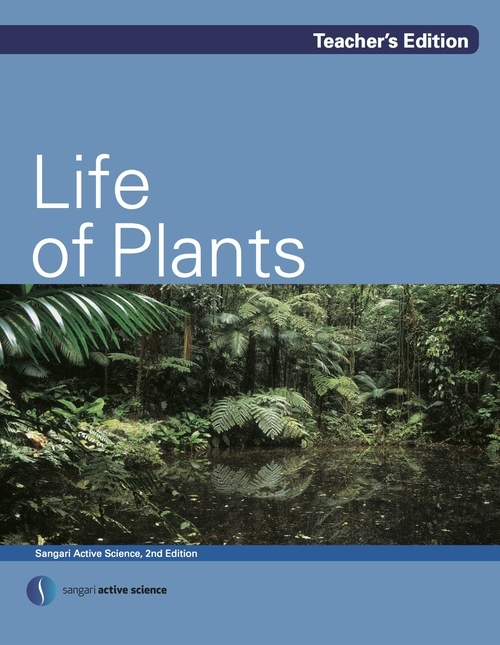 discover why plants and animals live in different places. The purpose of this theme is for kindergarten students to explore all the ways things can move, and to describe the words used that defi ne movement. Students become aware of the effect of force on movement and how force can be used to change the direction of something in motion. They are introduced to moving things without touching, instead using magnets. This unit is designed to align with the following standards. Describe the various ways that objects can move. 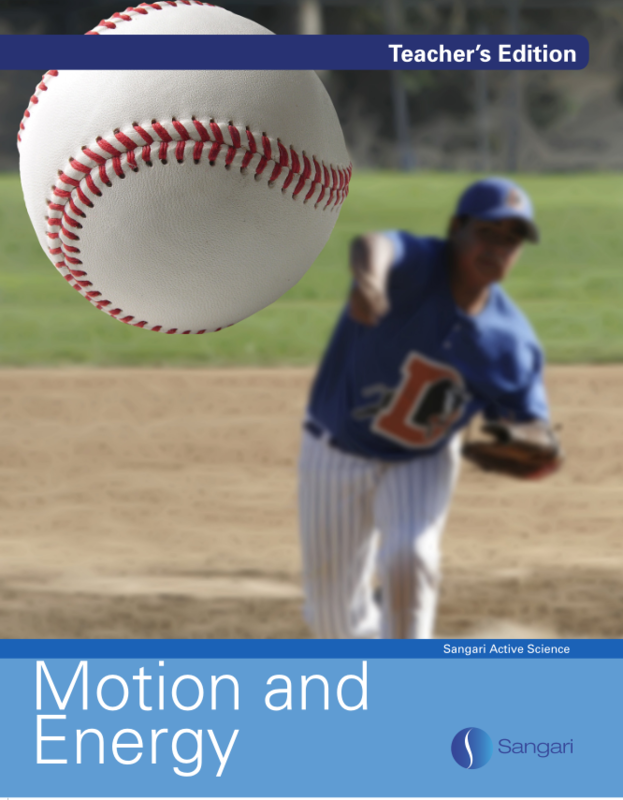 Demonstrate that the way to change motion is to apply force. Explore the effect objects have on others even when they are not touching. Describe Earth’s gravity as a force that pulls objects to the earth without touching the object. Describe an objects’ position relative to another object. Compare the speeds of two moving objects. Explore how things make sounds. During the 8 lessons of the Water and Weather unit, students will observe the physical properties of water and relate them to the importance of this element for the welfare of human beings and for the preservation of life on Earth. Students also become acquainted with the water cycle and the physical states and transformations that water goes through in nature. 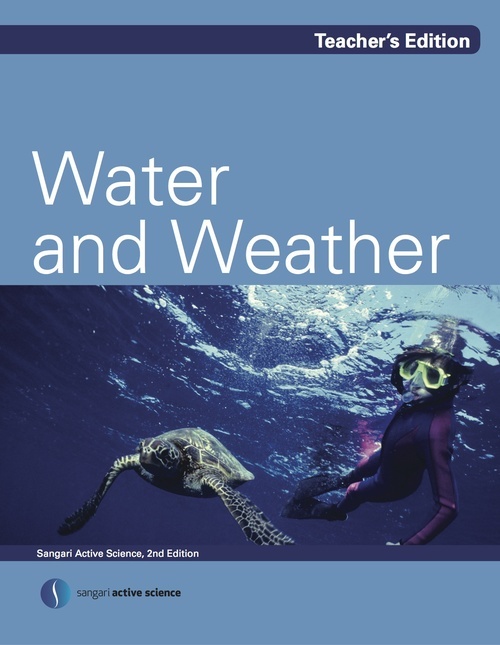 Lessons are presented through experiments, observations, texts, drawings, data recording, and scientific writing to enhance students’ knowledge of water and basic principles of weather. 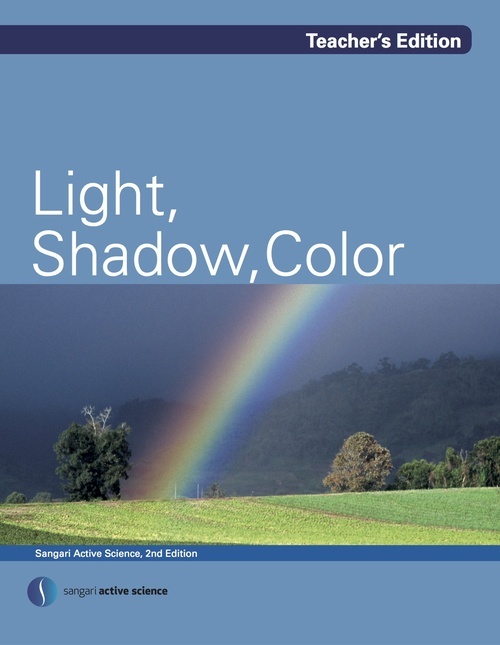 During the 8 lessons of the Light, Shadow, Color Unit, students develop an understanding of light and its role in how we see colors and shadows. In the first few lessons students reflect on the existence of luminous and illuminated bodies. Next, students study shadows by determining how they form. They then move on to the properties of light, seeing that it travels in a straight line and reflects from mirrors and other bright surfaces. In an experiment, students demonstrate how light can bounce or reflect off a surface. Then, during further exploration of mirrors and reflections, students consider natural places where they could see their own images. Students also explore what happens to light as it travels through materials. Light refracts or changes direction as it passes from water into air, causing it to divert from its straight path. They witness this phenomenon when a coin becomes visible under water because of this bent light. Finally, students investigate white light when it is separated into its component colors. They observe that white light separates into different colors to form rainbows in various ways. 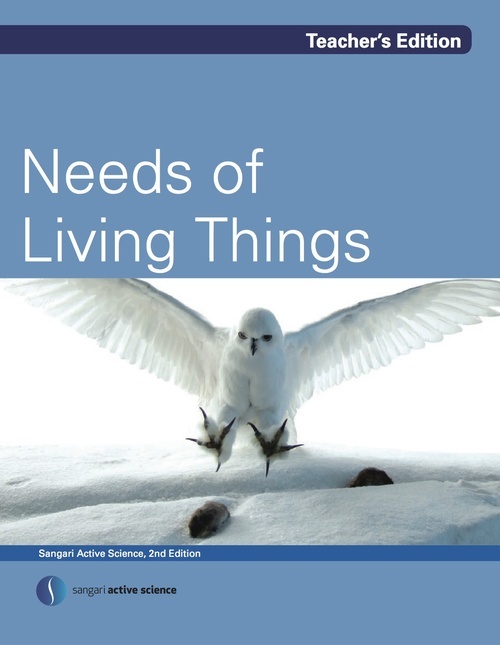 The 8 lessons of the Needs of Living Things Unit introduce students to the traits of living things and how adaptations of these traits can enhance their survival. Students will also begin to recognize how living things rely on each other and their surroundings for survival. In the first part of the unit, students learn that living things must possess four basic traits: movement, growth, reproduction, and need of energy. They compare and contrast various living and non-living things from their environment. Next, students set up an experiment in which firsthand observation demonstrates the needs of living things: air, food, water, and shelter. This will allow them to understand how physical characteristics of living things have helped them survive through adaptations. 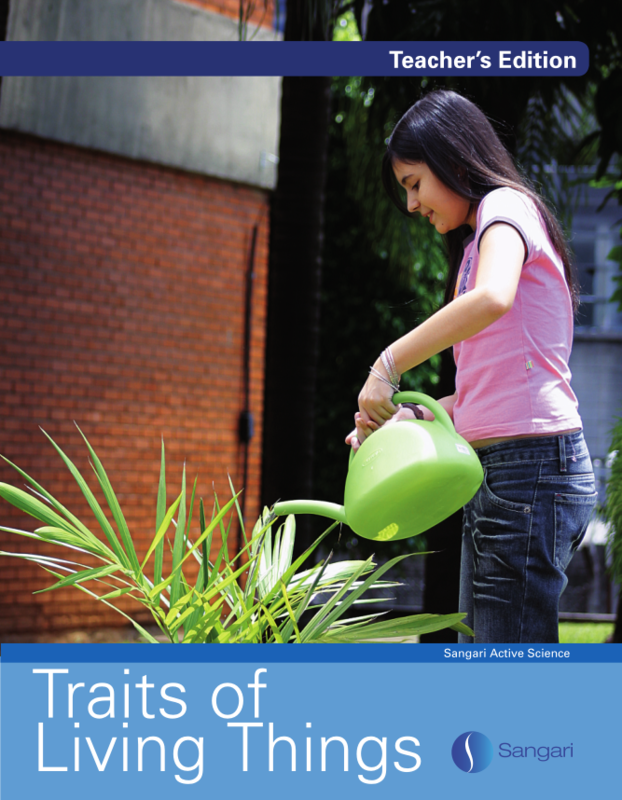 Students will be challenged to design an animal that possesses a specific beneficial trait. Additionally, students will study the importance of nutrition for animals, in that they explore various means by which animals get food, and why it’s critical to do so. The unit concludes with a couple of lab activities that allow students to investigate the parts of a plant as they set up and observe an experiment showing colored water traveling through celery. Also, they have the opportunity to reflect on the five senses animals use for survival. Students are encouraged to compare and contrast their own sensory organs with those of the animals discussed throughout the unit. During the 8 lessons of the following topics will be addressed: characteristics of animals, animal survival, animal habitats, and observation and research. 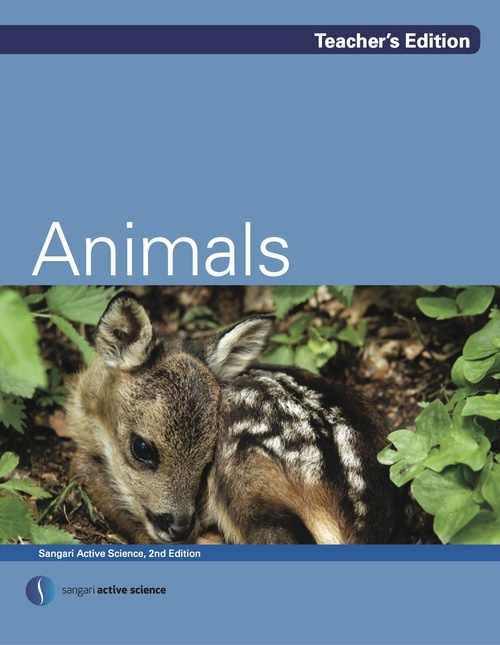 To begin, students are invited to think about animals in their environment. Through discussion and comparison, student knowledge of animal diversity is extended. Students take part in setting up, caring for, and observing an ant farm. Throughout the rest of the unit they will observe ant activities and movements of the ants, noting how they create tunnels and move through the farm. 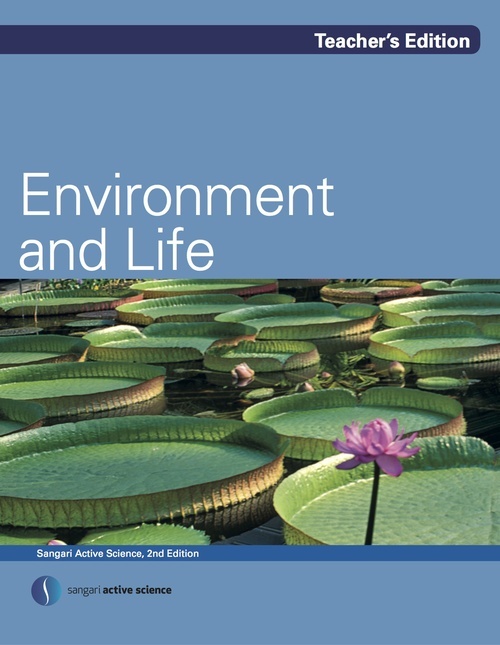 The subject of the environment is furthered in Lesson 2, which addresses how animals use their sensory capabilities to survive in their environment. Students investigate how animals detect their surroundings, with a focus on seeing, hearing, and smelling. In the next section of the unit, students analyze where animals live as they are introduced to the term habitat. They choose a nearby habitat to observe during an on-going investigation. Lesson 4 introduces students to the habitat of a forest. In a whole-class project students complete a mural of a forest habitat. In Lesson 5, another area of the class is transformed through a mural depicting a habitat as students learn about deserts. A Desert Guide Book is the goal of a class project in which groups provide information about various desert plants and animals. Next, studies of freshwater and saltwater habitats reinforce the concept that animals live in a specific habitat because it meets the basic needs for food, water, air, and shelter. Students participate in creating and discussing such habitats through additional murals and by exploration of various plants, mammals, birds, reptiles, and insects. In Lesson 7 students look closely at two habitats—forest and desert—and determine living and nonliving parts of the environment. The final lesson challenges students to consider how humans change habitats. In a hands-on investigation students observe a model of how human activity can negatively affect habitats such as a desert or forest. At the beginning of the unit, students classify materials according to their physical states—solid, liquid, or gas—by observing objects they encounter and use every day. This introduces students to initial characteristics and properties of each physical state. Subsequent lessons explore one or more of these states of matter. 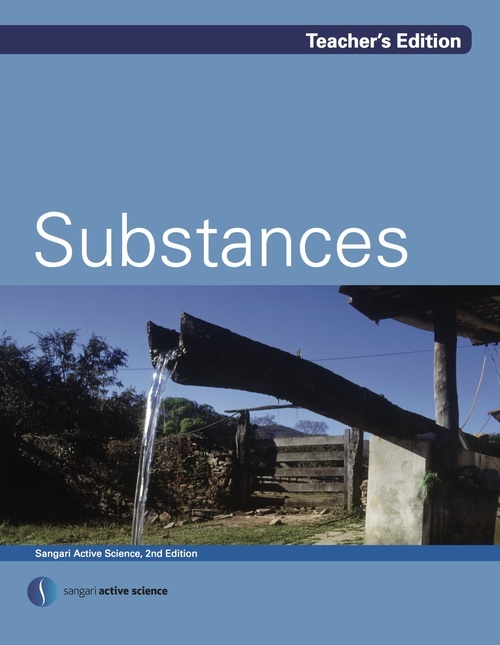 In later lessons, students are challenged to consider the classification of a substance as it displays properties of more than one physical state. 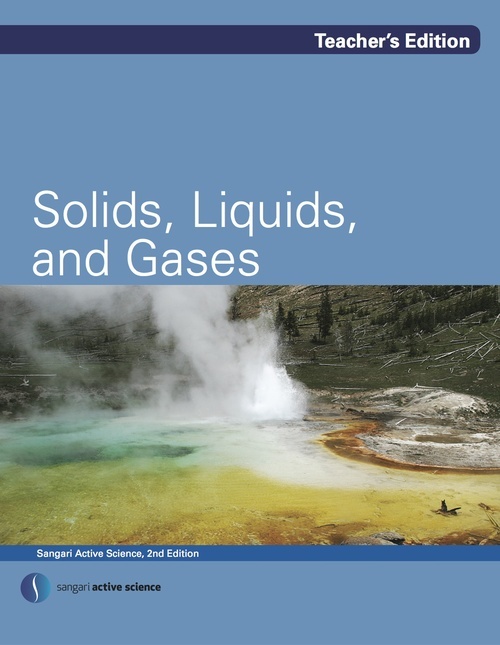 Through the study of each physical state, as well as comparing and contrasting each state with another, students are able to articulate the properties of solids, liquids, and gases by the unit’s conclusion. During the 8 lessons that comprise the Life of Plants Unit, students study the life cycle of flowering plants, building their knowledge through activities in which they observe and analyze the stages of growth and development of a bean and a flower. The students start the unit with various activities that enable them to reflect on and raise ideas about the presence of air around them. The immersion of air into another medium, in this case water, is a way to demonstrate its presence and helps to present a visual of air to students. They will also investigate the presence of air in the soil, realizing its importance there for creatures such as worms and ants. Next, students learn about moving air. By performing several tests they investigate how variables of a material, such as the size of a hand fan and the way students move it, affects the fan’s ability to move the air. Students also build an anemometer as they experiment with wind speed and direction. 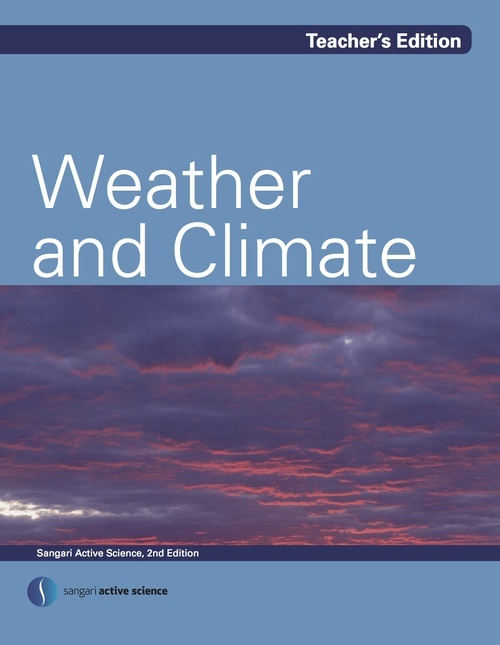 The study of wind is further demonstrated with a focus on weather events. Creating models of hurricanes and tornadoes allows students to observe the relationship between rotating winds and a vortex. Students will also distinguish between the atmosphere and outer space through discussion and activities. Then, building on their knowledge of the importance of air, they experiment with paper airplanes and balloon helicopters. 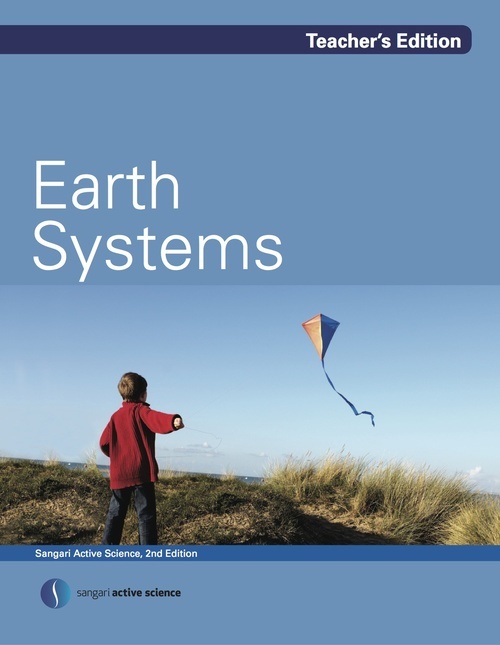 The final lessons add to the study of Earth’s systems to include not only atmosphere but hydrosphere and lithosphere as well. Students experiment with prepared gelatin to simulate the effects of an earthquake. They learn that the movement of earth’s plates causes earthquakes. This concept is expanded as students recognize that plate movements also cause volcanoes. Students further experiment with variables as they erupt volcanoes they design. 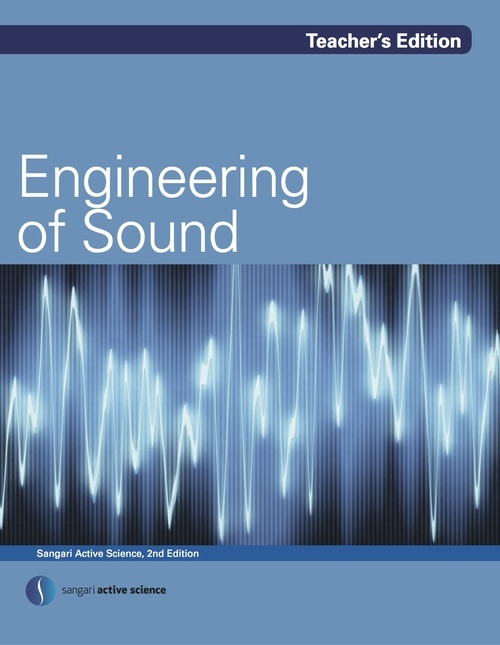 During the 8 lessons of the Sound unit, students will gain understanding of various aspects of sound, including production, perception, properties, and characteristics. Students will also investigate the operation of musical instruments and sound equipment used in communication. To start, students experiment with cups, strings, and rubber bands as they observe that sound is produced by the vibration of objects in motion. Through hands-on experimentation students begin to build on the foundation that sound is a type of energy we can hear. Subsequent lessons challenge students to continue reflecting on sounds and vibrations as they consider objects in their environment. More experimentation leads students to associate the energy of movement with the sounds objects produce. Additional lessons build on this concept as students explore the principles of volume. Experimenting with a metallophone demonstrates the correlation between how loud a sound is and the force used to make the sound. Next, students use string phones to experiment with the travel of sound. Discussions, reflections, and activities reinforce the concept that sound can pass through solids, liquids, and air. In the second half of the unit, students build string instruments and experiment with the variables that affect its sounds. Through concrete experiences students recognize the relationship between the strings’ tension and the pitch with which it vibrates. With a focus on percussion instruments, students will learn that drums vibrate to make sounds. They will construct two different drums to compare their pitch. The final two lessons have students investigate how we use electricity to make sound by building small circuits that include buzzers. Observing concrete models of abstract concepts continues in the final lesson, as students explore sound waves. In this lesson a Slinky™ provides a visual representation of the motion of a sound wave. 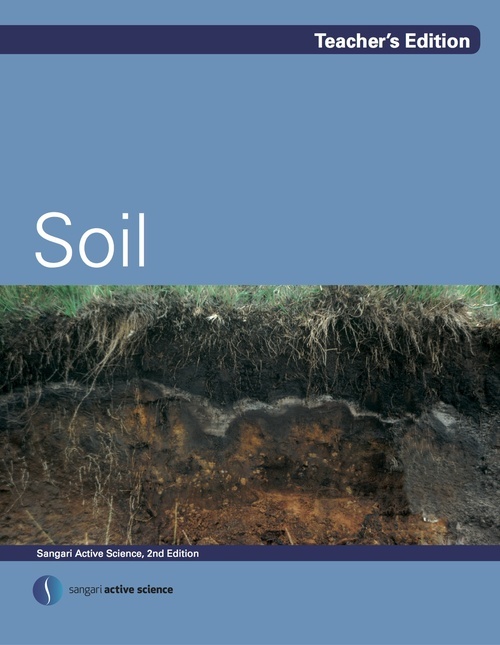 Throughout the Soil Unit, students perform experiments, make observations, read, and record their ideas in their Science Notebooks in the form of drawings and notes. In addition to expanding their knowledge, these activities provide opportunities for meeting standards for grade level written language, an important aspect for the development of students’ reading and writing skills. Throughout the Life Cycles Unit, students make observations and drawings in their Science Notebook as they observe the life cycles of animals and plants. Using drawings and texts, students record the anatomical and behavioral characteristics as well as the different moments of development of these living organisms. Students develop focused insight of an object under study and observe natural phenomena. They learn to select information that deserves recording and choose the most adequate ways of capturing such data. In the first couple of lessons, students participate in planting bulbs and assembling an earthworm farm. They discuss how to care for animals and plants during their development and determine that living organisms need special conditions to ensure survival. Students observe the initial stages of life cycles of the two species. They observe and make notes in their Science Notebook during the whole unit. The next section of the unit presents multiple concepts using the butterfly, such as information on the butterfly’s transformations during its life cycle. 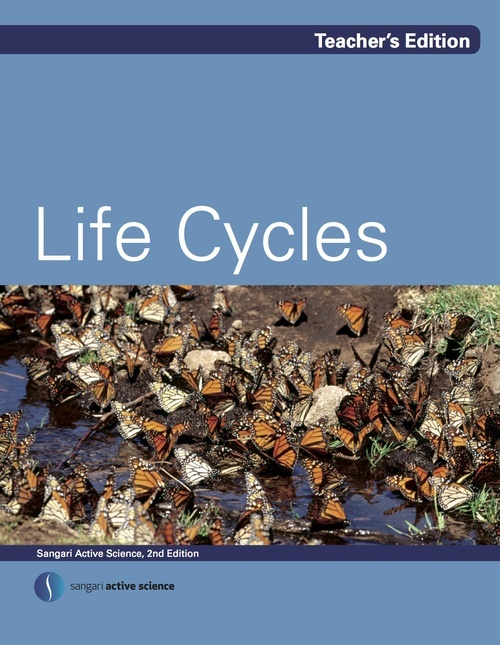 This emphasizes the concept of a life cycle, as students examine pictures of the butterfly in its different stages, and then organize the illustrations in the correct transformation sequence. This supports information about a complete life cycle. Students will play a game used to show the butterfly’s life cycle in different situations. Students increase their knowledge of insects and perceive the different challenges that the living beings face throughout their existence. The following portion of Life Cycles pertains to the frog’s life cycle, which is characterized by metamorphosis. Students detect that by passing through physical transformations during its life cycle, the frog adapts itself to the environment in which it will live during its adult stage. The cycle begins in the water and ends on the land. Next, students become familiar with the embryonic development of a mammal by comparing the gestation mechanisms and periods of a dog and a chicken. The final portion of the unit concludes investigations started earlier in the unit. Students revisit the worm farm for observations. They verify the total number of worms present and discuss whether it was possible to maintain adequate environmental conditions for their growth and development. When taking the worm farm apart, students discuss the best way to return the worms to their natural environment. Next, students finalize the bulb activity through observation of the life cycle of a flowering plant. They record drawings and organize the information representing the different stages of the plant’s life cycle. 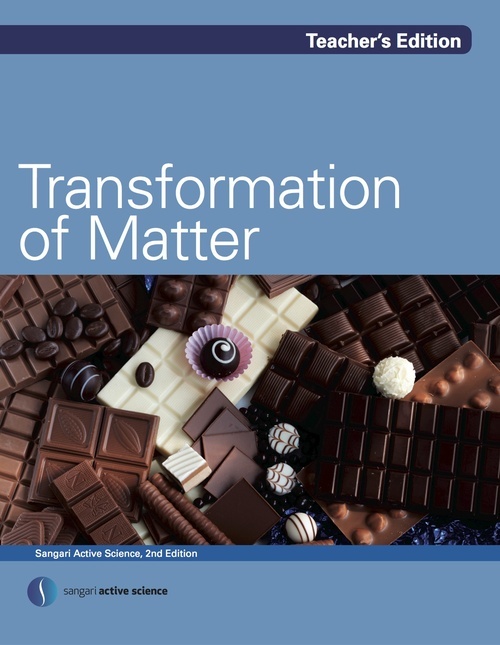 In this unit, students study the transformations of materials and substances. By comparing the characteristics of the materials, such as color and physical state before and after a transformation, students learn that a transformation implies the modification of the final system in relation to the initial system. At the beginning of the unit, students study the initial and final characteristics of systems and objects that undergo transformations. They also melt flaked paraffin and solidify it in a new shape, recognizing that the change of physical state does not necessarily modify the composition of some substances. Next, students compare and contrast physical and chemical changes by performing experiments that result in new substances or materials. They work with the properties of a new material, dye. Students learn that pigments can be natural or synthetic and they observe one of the first pigments synthesized by human beings. Then, students mix a pigment, a solvent, and an agglutinant, all of which are necessary to fix the dye to the painted surface. In the last few lessons of the unit, students are challenged to consider raw materials used to make various products. Students recognize that chemical and physical transformations can make it difficult to identify the original state of matter. Students will have the opportunity to discuss the care, use, and value of natural resources, as well as the production of garbage created by a consuming society, which ultimately threatens such resources. Students produce recycled paper and compare properties of different papers. Students also experiment with the effect of different additives used by the paper industry. 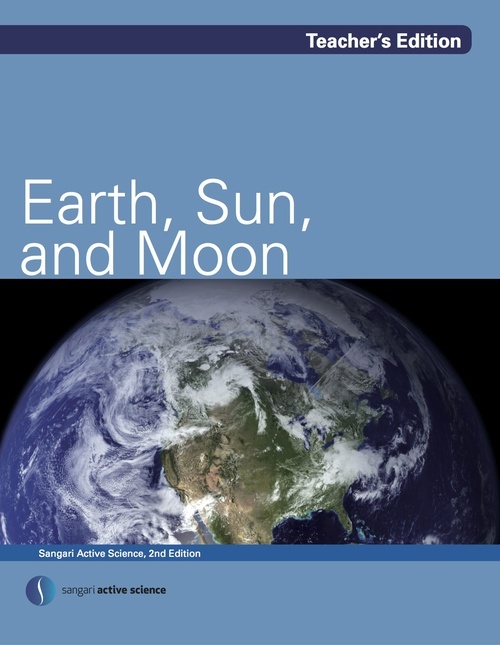 The 8 lessons of the Earth, Sun, and Moon unit provide students many opportunities to construct knowledge about the structure, size, movement, and position of Earth, the sun, and the moon and their influences on our planet. In Lesson 1 students explore the concept of scale as they consider diameters and distances between the three celestial bodies of study in the unit. In Lesson 2 the topic is days and nights and their relationship to Earth’s rotation, demonstrated in multiple hands-on activities. Lesson 3 builds on the sun’s “movement” as students learn how to build an equatorial sun clock, applying the proper corrections for locations of different latitudes. The phases of the moon are studied in Lesson 4. Students investigate how each of the phases happens, simulating the relative positions between the earth, sun, and moon during one month. In Lesson 5 students look for the relationship between the moon phases and the occurrence of tides on the planet. Students recognize why there are two flood tides and two ebb tides in a period of approximately 24 hours and realize that the bigger tides occur during the alignment between planet Earth, the sun, and the moon. The solar and lunar eclipses are studied in Lesson 6 as students participate in models of the phenomena. Students observe that the inclination of the moon’s orbit in relation to Earth’s orbit influences the period between each lunar and solar eclipse. In Lessons 7 and 8 the topic is the seasons of the year. In these lessons students learn what causes the seasons, how the light part of the day varies in each season, and the relationship between the seasons of the year and the tilt of the earth on its axis. Students notice the inversion of seasons of the year in the hemispheres, that is, while it is summer in the Northern Hemisphere it is winter in the Southern Hemisphere. 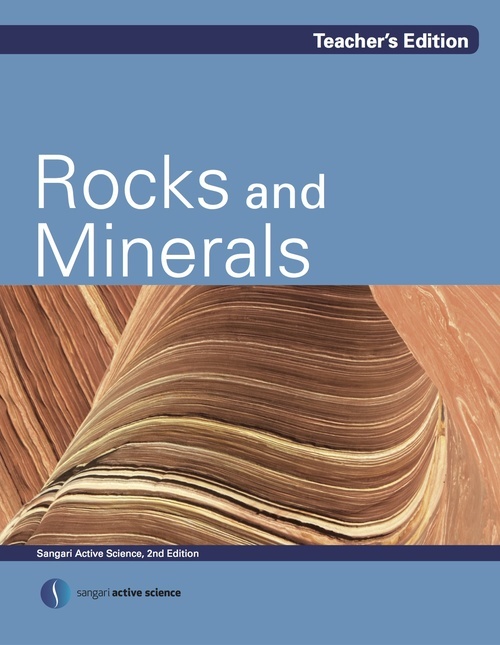 During the lessons that make up Rocks and Minerals, students investigate the properties and formation of rocks and minerals, within the context of social, economic, and historic use. Students perform experiments and identification tests, as well as take notes and make observations in their Science Notebooks. The unit begins with students reflecting on their current knowledge of weather and explaining various aspects of weather conditions using correct terminology. 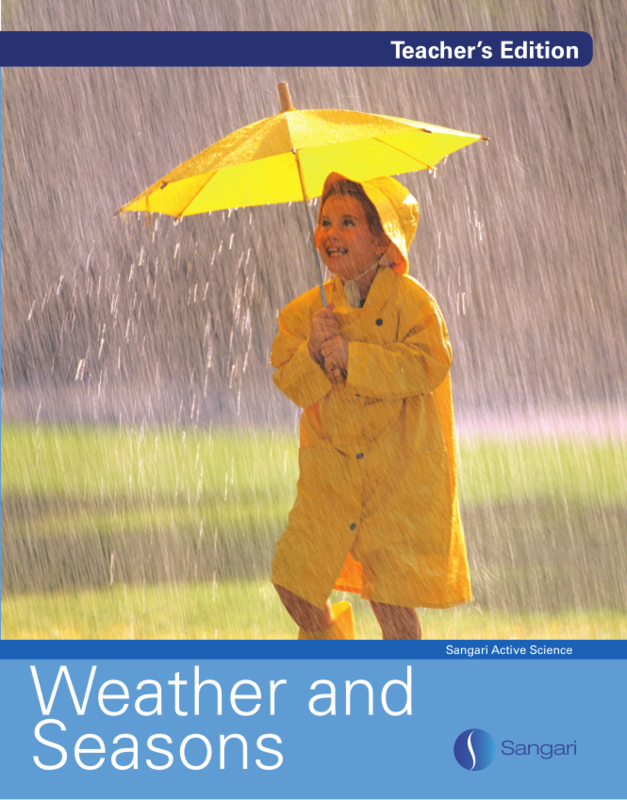 This is highlighted as students describe various weather conditions depicted in photographs and begin a weather chart on which they record their observations. Several lessons explore the water cycle. Lesson 2 introduces students to rain measurement through the use of an instrument called the rain gauge. An experiment using rain gauges of various diameters demonstrates the validity of rain gauge measurements. In addition to exploring quantity of rainfall, students are also challenged to consider the quality of rain as they investigate acid rain. Further, students become familiar with the water cycle as a continuous process in which rainwater is a part. Through a lab activity, students experiment with the processes of evaporation and condensation. Additionally, students make weather predictions through a study of clouds. They analyze and classify clouds as cirrus, cumulonimbus, cumulus, and stratus. They also look at cloud characteristics as a way of predicting future weather events. The last few lessons focus on climate. This study begins with several demonstrations that reveal to students the effects of the sun and how this relates to climate zones. This series of lessons provides opportunities for students to identify and describe characteristics of each of the different climate zones and their respective vegetation and animal ecosystems. Students learn how the Tropics of Cancer and Capricorn, as well as the Arctic and Antarctic Polar Circles, define the terrestrial climatic zones: Tropical, Temperate (South and North), and Polar (South and North). Students become familiar with aspects of extreme climates, such as the Polar Regions and the deserts, and become familiar with ways of life in these regions. The unit begins an investigation of substance interactions. Students explore various processes used to separate substances from mixtures. The lessons continue to showcase the most important substance on Earth—water. Students learn about the importance of freshwater and the abundance of salt water. The study of water continues as students learn about the importance of water for life. Then in an exploration of solubility, students discover some substances that dissolve in water. Students continue investigating the characteristics of substances beyond water as the concept of viscosity is introduced. After working with a colloid, students observe its characteristics. They compare and contrast the characteristics of graphite and charcoal in subsequent lessons and extend their investigation of carbon-based substances with a focus on coal and its characteristics, components, and uses. In the last few lessons of the unit, the focus shifts to other mixtures, namely air and metals. Students create a graphic model of the proportion of various gases that combine to form air. Then, they explore some properties of metals and how they relate to the uses we make of metals. Finally, after a unit full of exploration of substances, student understanding of natural resources is enriched to include how these resources are important and how the personal actions of individuals can help conserve them. During the 8 lessons of the Environment and Life unit, students will study organism adaptation, relationships between organisms in the environment, ways in which humans impact the environment, and how light, water, and temperature affect organisms and the environment. In Lesson 1 students begin to build on what they understand about the environment. The lesson compares and contrasts characteristics of different environments as students recognize that an environment consists of all living and nonliving things in a specific area. Next, students focus specifically on the living things in an environment as students learn how adaptations enable certain species to survive. Students investigate the webbed feet of aquatic birds and the ears of deer as adaptations that enable the species to survive in the environment in which it lives. Lesson 3 begins a study into a look at our impact on the environment. Students explore two products: bread and aluminum cans. Then they examine how each is produced. Environmental impact takes center stage as students begin to recognize that raw materials from the environment are the origin of many products we use. The theme of the next lesson is “reduce, reuse, and recycle.” Students continue reflecting on their own environmental impact and separate typical classroom trash, classifying waste as recyclable and not recyclable. 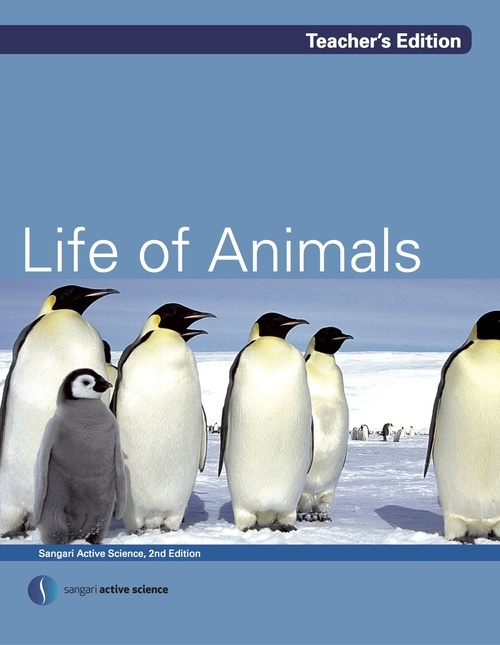 Temperature is the focus in Lesson 5 in which students revisit the concept of adaptation in a study about how animals survive in the extreme cold. An activity that simulates animal blubber provides a springboard for discussion about animal adaptations. The next two lessons highlight the need of water for all living things. Students investigate how organisms get water and observe how the environmental factor of water influences the growth of plants. In the final lesson, students learn how important light is to the environment and how some animals adapt to an environment without light. Then students observe how the absence of light affects the growth of seeds in an experiment set up in a previous lesson. During the 8 lessons of this unit, students develop broad knowledge about electricity as they assemble and analyze the operation of simple circuits made up of batteries, bulbs, and wires. One of the main purposes of the Electricity Unit is the understanding that we cannot create or destroy energy; we can only transform it. Students experiment with energy transformation in different practical situations. These include how a battery, an electric motor, a generator, and a hydroelectric plant produces electrical energy. In the first few lessons of the unit, students perform simple experiments to observe how objects charged with electricity react through forces of attraction and repulsion. 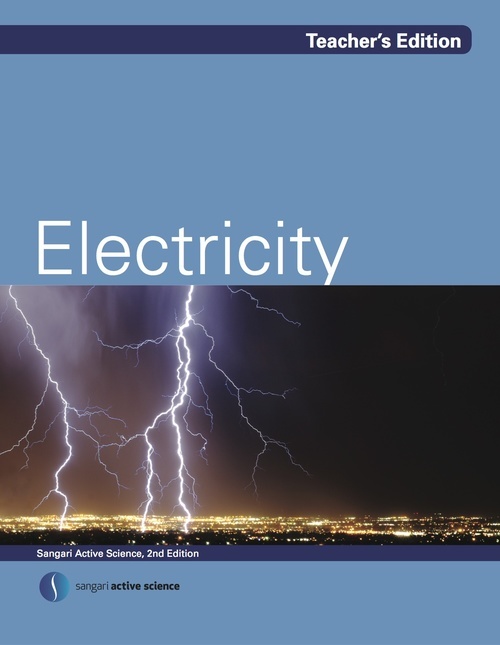 These activities enable students to understand the nature of an electric circuit. They begin with students trying to solve a simple problem: light a bulb using only a battery and one wire. The next set of lessons has students design and build a working flashlight. Within these lessons students apply their knowledge of electric circuits and use problem solving strategies acquired in previous lessons. Building on their knowledge of flashlight construction, in subsequent lessons, students take a small electric motor apart to understand how it works and discuss the conversion from electric to kinetic energy that occurs when it is operating. They analyze how electric generators convert kinetic energy into electric energy. Students use a small generator to light LEDs (Light Emitting Diodes) in order to observe the conversion of electric energy into light energy. A thorough discussion of the implementation of Daylight Saving Time, emphases the importance of conserving energy and avoiding its waste. The final lesson challenges students to consider yet another way of generating electricity through the use of water power. Students experiment with the potential energy of stored water and the kinetic energy of moving water and draw conclusions about how this could apply to generating electricity. During the 8 lessons that comprise the Machines and Motion unit, students study the common elements and functions among various simple machines and laws of motion that apply. 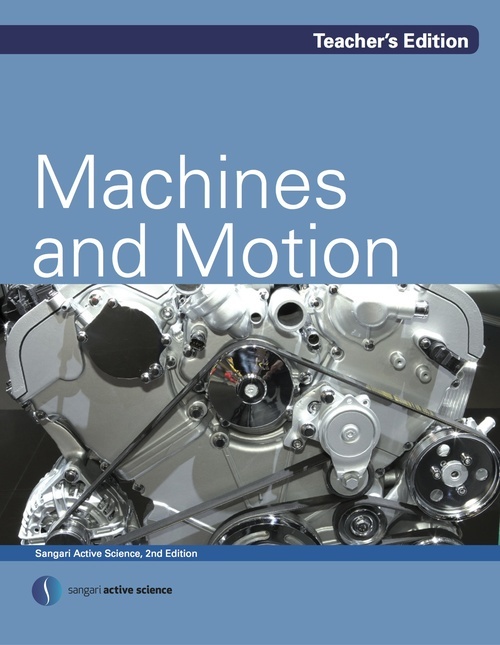 While they may be familiar with machines, this unit provides the opportunity to consider the true meaning and purpose of machines, their orientation, and how motion impacts them. In the first few lessons, students use a variety of simple machines to complete the physical work for which the machines are designed. Students analyze a lever and adjust different settings to increase or decrease its strength. They draw conclusions about the function of balance and fulcrum based on discussion and experimentation. Students investigate to determine the advantage of using a lever. They build a force indicator and compare the force gain of different types of levers. Next, the most important simple machine, the wheel, is introduced. Although students are familiar with wheels, they extend their science understanding by comparing cylinders to wheels and axles and perform an experiment to understand the force of friction. That understanding is extended to determine how wheels help people lift big loads. In the next set of lessons, speed and motion become the focus. The movement of a car is the springboard for discussion as students learn that an object in motion stays in motion until an opposite force acts upon it. In another activity students become aware that a constant forward motion and speed affect attempts at trying to hit an intended target with a ball. Students investigate the difference between instantaneous speed and average speed as they compute their own walking and running speeds and display their collected data on a graph. In Lesson 6 students experiment with speed variation and force gain as this relationship applies to various simple machines. The speed/force relationship continues with a focus on ramps. Through experimentation students recognize that the force used to raise an object is reduced through the use of ramps. The unit is concluded with students designing, discussing, and constructing their own machines that use multiple devices to perform simple tasks. Students have an opportunity to demonstrate their machines to other teams and explain their process from design to construction. During the 8 lessons of the Life of Animals unit, students engage in a course of study that includes food chains, habitats and ecosystems, types and forms of skeletal movement, body coat and vertebrate animals, invertebrate animals, animal diversity, and observation and research. Lesson 1 focuses on reproduction, recognizing the structures animals build (shelters and nests) to aid their survival. Lesson 2 addresses movement, as students examine the function of the skeleton, muscles, and joints and how each relates to movement. The next several lessons are dedicated to expanding student knowledge about animal diversity. Students study warm-blooded animals, for example, and come to understand the need for insulated skin to maintain body temperature. Lesson 5 highlights the dependence of reptiles (alligators) and amphibians (frogs) on water, as students compare the life cycles of these two animals. In Lesson 6, students encounter social animals, specifically ants, bees, wasps, and termites. Students consider issues such as division of labor, protection, and forms of reproduction. Lesson 7 focuses on the diversity of marine mammals such as whales, dolphins, and seals. Students investigate marine animals’ geographical distribution and identify criteria for classifying them. The final lesson challenges students to reflect on the relationship between humans and animals, identifying positive as well as negative aspects of those relationships. 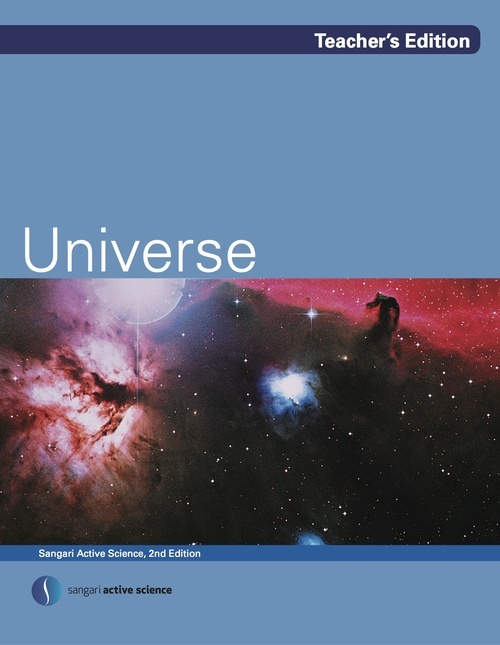 The 8 lessons of the Universe unit encourage students to reflect on the subject and carry out activities from observing the night sky to analyzing the most recent images from the Hubble Space Telescope. In the two first lessons, students study the universe while referring to a poster showing a starry sky, analyzing the celestial bodies visible to the unaided eye. Then, the movements of the stars throughout the hours of a night and during the days of a year are simulated. This first exposition intends to explain the observational procedures carried out by an ancient astronomer trying to discern the regularity in the sky’s movement. Lessons 3 and 4 are the first to deal with technology. In these lessons, besides learning how a rocket works, students design, build, and launch short and long-range rockets. These activities provide information for reflecting on gravitational attraction and Newton’s Third Law, the principle that action equals reaction. Rockets played a major role in launching space probes for collecting detailed data on all planets. In Lessons 5 and 6, students begin to analyze the physical characteristics of the planets as well as their movements in the universe. Using overlays to compare relative position, students can observe the result of planetary movements. Then students build a 3-D model of our Solar System. In the final two lessons, students discuss various concepts regarding the stars. They are introduced to parallax, the position change scientists use to measure a star’s distance from Earth. Students will simulate this phenomenon in a hands-on experiment. Also, students investigate the life cycle stages of a star as well as its composition. They learn about spectroscopy, a technique for determining the chemical composition of stars. Students analyze the spectra from various lamps, recognizing that chemical differences and temperature cause different spectra. Quality professional development is crucial for the success of Active Science because the program invites teachers to rethink previous practices, construct new expectations for student outcomes, and teach in ways they may not have taught before as science and literacy–in tandem–take center stage. Active Science professional development is fully customized to meet the needs of the district or school. The initial professional development is designed to support teachers by modeling lessons in order to demonstrate pacing, investigation procedures, and discussions that students will experience every day. Teachers engage in the experience of Active Science (its pedagogy and practices) as both a learner and a teacher, with questioning strategies; literacy and vocabulary building strategies that include reading, writing, speaking, and listening; and the use of embedded assessments, all of which prepare teachers to implement lessons successfully. Active use of investigation materials during Professional Development enables teachers to experience the phenomena first-hand, as well as see how to organize and confidently create a classroom culture for optimal learning. While the initial professional development is delivered in person in a one-day or two-day model, by Educational Resource Specialists who are content specialists and award-winning teachers, we also support a train-the-trainer model so that a district or school can build its capacity to maintain the program using its own qualified educators as teacher leaders. 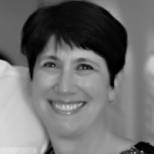 Ellen Mintz began her career as an elementary school teacher in Charleston County School District, SC. As a classroom teacher, she saw the benefit of using science as an authentic means of integrating reading and math instruction. For 15 years, she has served as an instructional coach in Charleston County School District, providing professional development focused on literacy integration, effective science instruction, and effective formative and summative assessment strategies in K-8 classrooms. She has also facilitated the construction and implementation of curriculum maps to ensure that instruction addresses the performance indicators needed to provide effective standards-based instruction. For the past 20 years, Ellen has helped school districts across the country implement science notebooks and effective science pedagogy, and continues that work as part of the Activate Learning team. 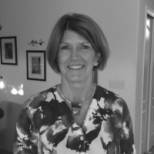 Ellen received National Board Certification as a Middle Childhood Generalist in 1999 (renewed 2009). She holds a Bachelor’s Degree in Secondary Social Studies from the University of Miami and a Master’s Degree in Elementary Curriculum from the University of Charleston.